Theresa Staskus, Therigy’s Director, Pharmacy Services, assists clients with reimbursement management, including payer audit support, account receivables analysis, and third-party contract management. 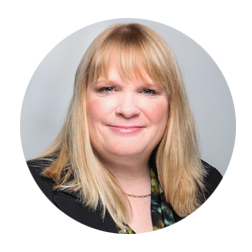 Theresa’s responsibilities include conducting interviews and gap assessments; preparing financial models; performing data analysis; developing RFP boilerplates; supporting payer contracting, program, and system implementations; and composing operational documentation. She also provides customized reimbursement training for staff members, enabling them to understand and integrate reimbursement knowledge into the pharmacy workflow. Theresa joined Therigy’s leadership team in 2011 after holding key positions at Orlando Regional Healthcare, Florida Pulmonary Consultants, Priority Healthcare, CuraScript, and PMSI. Theresa received her BS in health information management and her MBA from the University of Central Florida. She is also a certified Registered Health Information Administrator (RHIA).